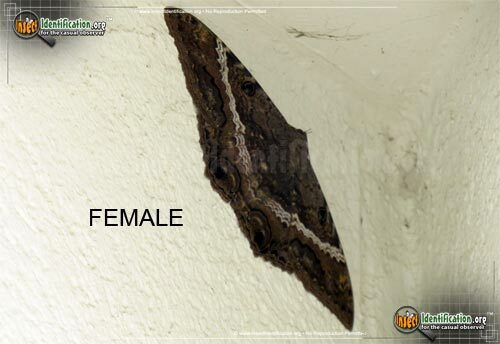 Detailing the physical features, habits, territorial reach and other identifying qualities of the Black Witch Moth. 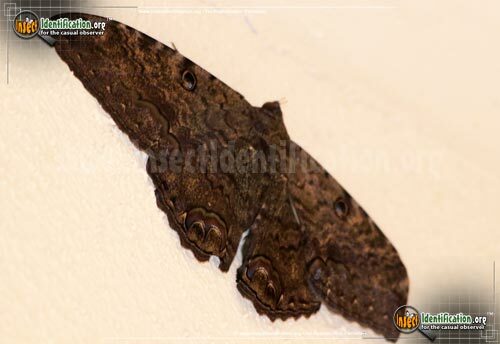 The Black Witch is a huge moth that prefers a tropical habitat, but can be found in the some of the strangest locations through no fault of its own. A member of the Lesser Underwing Moth family, the Black Witch makes grows to an enormous size. 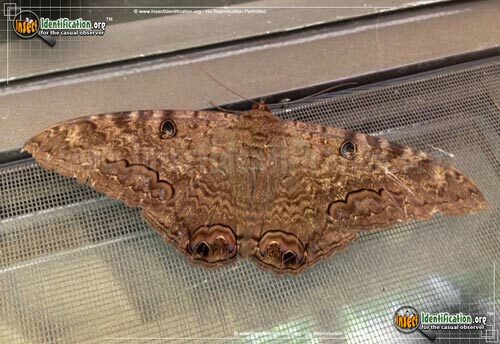 The moth is almost as large as a human hand with its wings spread. 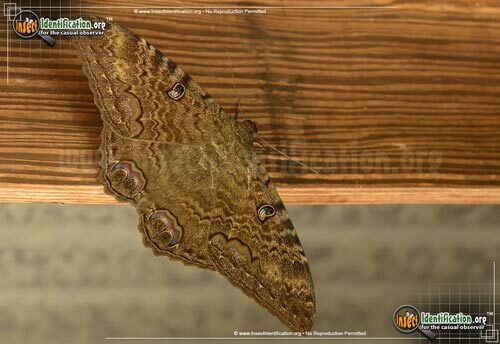 The wings are brown or dark brown. 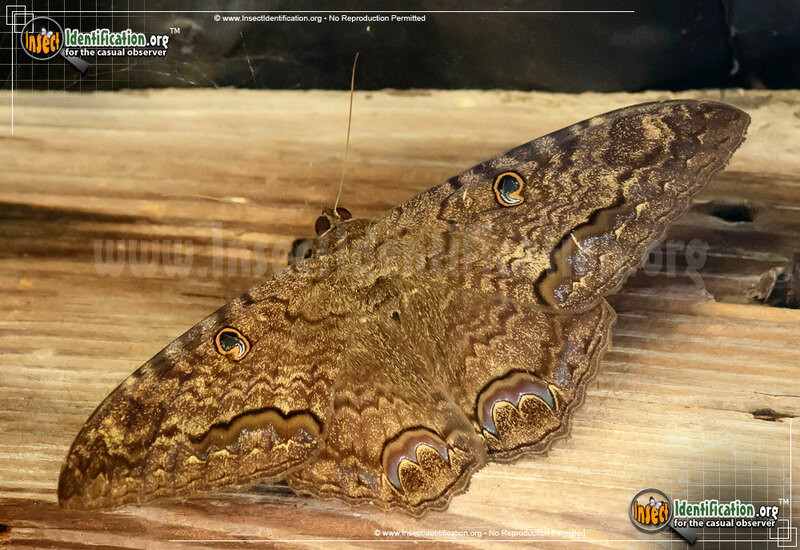 It has a large eyespot near the front edge of each forewing. A wavy, dark brown line meanders close to the bottoms of both forewings and hindwings. An iridescent purple line shaped like the letter 'm' stamps bottom of each hindwing and part of the forewing. The normal climate of the Black Witch is tropical, which makes sightings in the U.S. and Canada both rare and a treat. 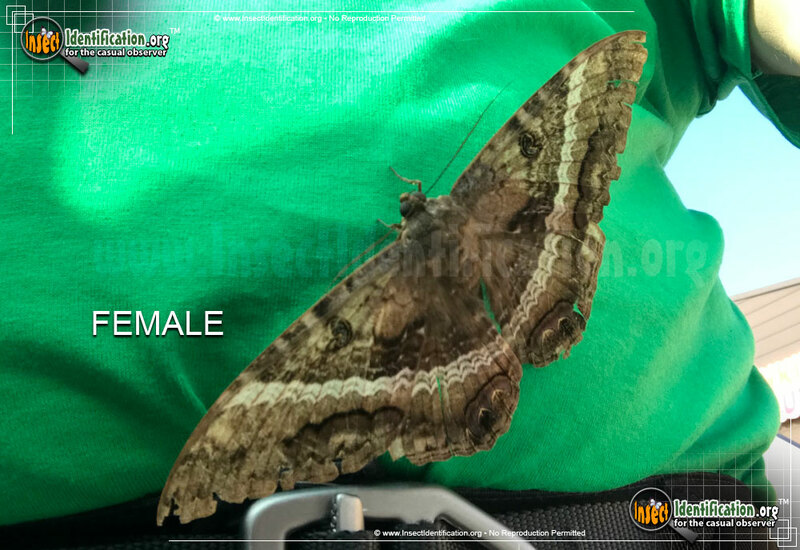 Stormy weather in the more tropical parts of Mexico and southern tip of Florida can literally blow these moths north of their normal range. 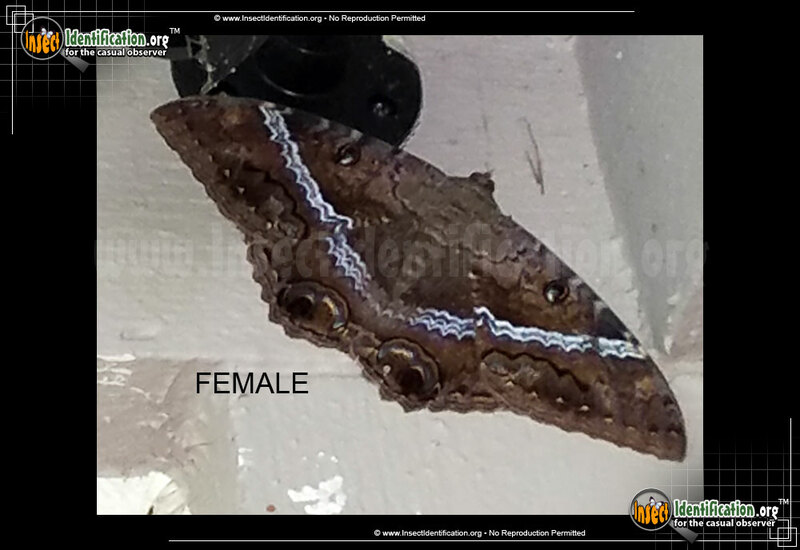 In the past, hurricanes in the Gulf have created a 'fallout' of Black Witch Moths. A large population of moths find themselves cloistered in the hurricane's eye until it dissipates, which may happen over states the moth would never live in. Warmer summer weather further north can also allow this moth to travel to regions that are unfamiliar with it.